TRAVIS WALL IS COMING TO AUSTRALIA & YOU ARE INVITED TO BE A PART OF IT! 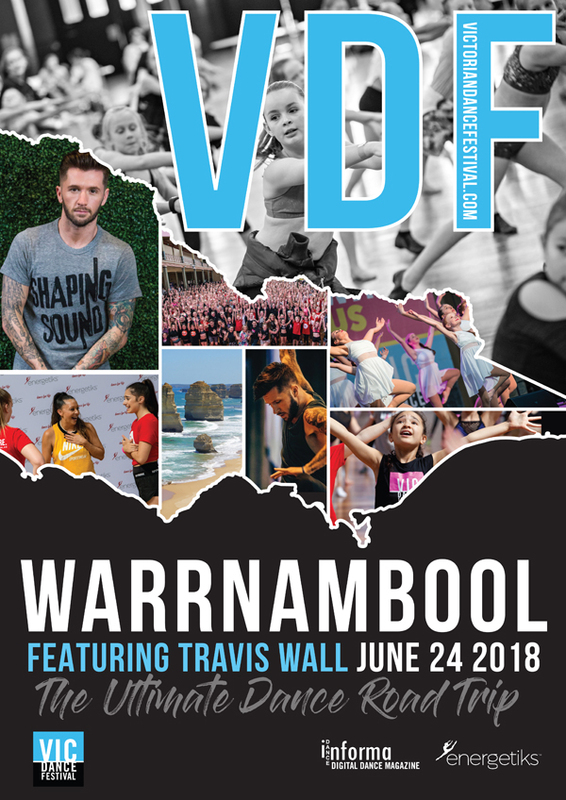 VDF REGIONAL will include a FULL DAY DANCE EXPERIENCE, with classes from Australia's most in-demand choreographers alongside Travis Wall, direct from Los Angeles. Travis is the winner of the 2015 Emmy Award for Outstanding Choreography. He was the runner-up for the Fox reality show So You Think You Can Dance Season 2, and is currently a resident choreographer for the national dance competition show. He is a five-time Emmy nominated choreographer for his work on So You Think You Can Dance and Dancing with the Stars. He choreographed the music video for Carrie Underwood's "Something In The Water", which won the CMT Video of the Year, as well as stage shows for Justin Bieber and Demi Lovato. Additional TV credits include choreographing the 82nd Academy Awards, Disneyland's 60th Anniversary Special on ABC, the 2010 MTV Video Music Awards and an episode of Pretty Little Liars featuring Maddie Ziegler. Feature Film credits include choreography for The Wedding Ringer starring Kevin Hart and the contemporary numbers for the feature film Step Up Revolution. He had the privilege of working with First Lady, Michelle Obama on her Let's Move Campaign where he created the GimmeFive routine that was performed on Ellen and at The White House. Sponsored by Energetiks, Dance Informa, DanceSurance, Transit Dance and Ev & Bow Full Time Dance Training Centre.